Sun ‘n Fun 2018 ended a great event on Sunday. After traveling home Monday, plans called for a very quick turnaround to jet across the Atlantic for Aero Friedrichshafen 2018, which started Wednesday. For an aviation buff, the month of April is something like being a kid in a candy store. So many fun airplanes. So few days to absorb the images, stories, people, and excitement. Sandwiched in the 24 hours between getting home from Sun ‘n Fun and blasting off to Europe, one more cool thing happened: a gathering of LSA or light-kit seaplanes. 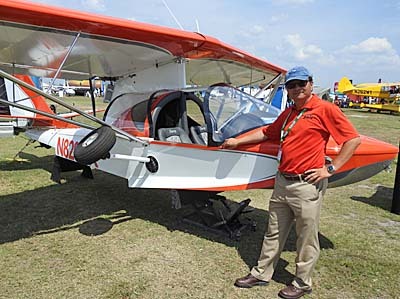 Seven brands were invited by Spruce Creek Fly-In airport manager Joe Friend but rather ironically, two that are quartered closest to Spruce Creek — American Legend's AmphibCub and Brazil's SeaMax — were unable to make it. The five who did make the effort right after Sun 'n Fun were rewarded with a beautiful day and good interest. Joe knows his light seaplanes. 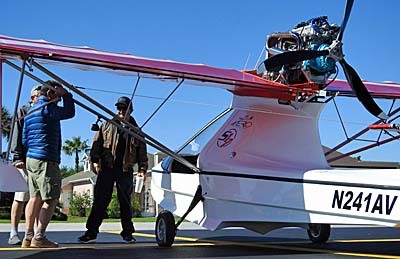 He’s built at least one Searey and he used to fly it daily from Spruce Creek to a lake in Tavares, Florida where Progressive Aerodyne manufactures Searey. For a couple years, Joe was CEO of the operation making him highly aware of this niche of airplanes. As you can see in the photos, Joe’s effort paid off with a nice crowd examining the selection. For someone in the airplane selling business, Spruce Creek is what some would call a target-rich environment. That means lots of pilots, pilots with cash, and pilots with places to keep or build a light seaplane. So despite the challenges of making an appearance immediately after a major week long air show like Sun ‘n Fun five companies were lined up and ready. 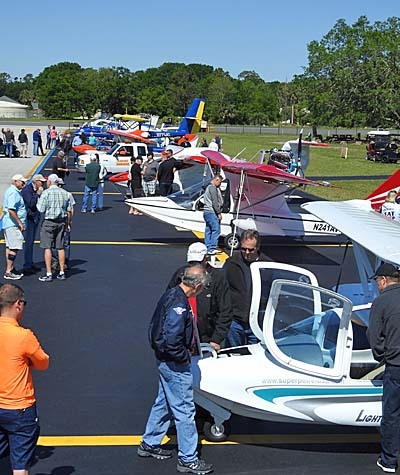 Spruce Creek Fly-In — an airport community I call home — quarters an estimated 700 airplanes, more than nearly any other airport I’ve ever visited in a career that has taken me to more aerodromes than I care to count. The chance of a sale or two or more is what prompted so many vendors to show up immediately on the heels of an air show that wore them out for seven long days. Of course, not all resident airplane owners were present; some are focused on other airplane types. 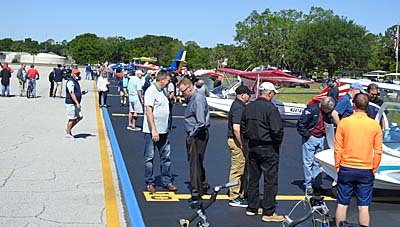 Yet in a warm climate with bodies of water all over the place, and a generally supportive atmosphere for recreational aviation… well, no wonder all seven invited vendors have bases in Florida. 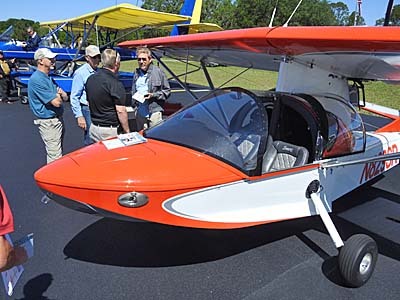 Searey — The most established of the collection is this veteran design from Progressive Aerodyne in nearby Tavares, Florida (about 45 minutes north west of Orlando). However, despite its long history and nearly 700 satisfied customers — mostly kit-built until more recently — Searey has benefited from many changes and upgrades. It has the distinction of being one of the FAA’s success stories regarding how well they prepared for their audit to become a fully built LSA. Searey was also one of the first LSA to become to win Type Design Approval in China. AirCam — The lone floatplane of the group is also the only twin engine of the group yet this larger-than-life airplane still qualifies as a light aircraft, easily so. 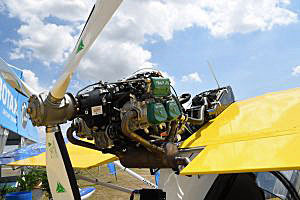 Given its modest weight, the presence of two Rotax 9-series engines on this kit makes it a formidable performer but one that can use that capability at slow speeds, making the airplane an absolute delight for the kind of low-elevation flying that many others aircraft should not attempt. Around 200 are flying. Kit builder Lockwood Aircraft is based in Sebring, Florida. Aero Adventure — The Aventura model, seen here in its new S-17 configuration, dates back as far as the Searay but because of ownership changes the design also evolved uniquely. Originally known as the Buccaneer, it became of the Aventura when Carlos Pereyra added his exceptional fiberglass skills to the hull. Current owner, Alex Rolinski, has taken the design into the CAD age and beefed up its performance. 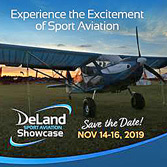 The S-17 model boasts a 117-horsepower AeroMomentum Suzuki-based engine and attractive options; the package has been attracting strong interest for Aero Adventure of Deland, Florida. Super Petrel — One of the most unique entries is the bi-wing Super Petrel LS from Scoda Aeronautica in Brazil. Another well-established model with a history involving Canada, the South American company has now opened a facility at the Ormond Beach airport to support U.S. customers. 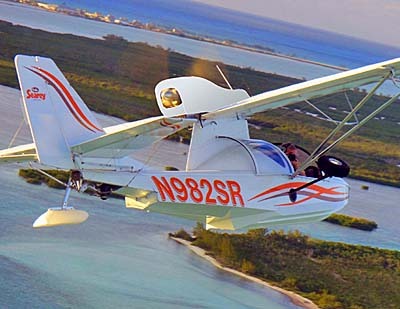 Powered by Rotax as are all these LSA seaplanes, except for Aventura S-17, Super Petrel uses side-by-side seating in an aircraft with excellent manners in the water. Icon A5 — Thanks to sophisticated, California-style marketing, Icon Aircraft A5 is one of the best known models in the Light-Sport Aircraft space. Their prowess proved itself as the model drew steady interest during the hours on display. This particular aircraft crossed the state so Spruce Creek residents could check it out. Based in the Tampa, Florida area where Icon Aircraft operates a training and demonstration base, A5 flew in from beautiful bayside Peter O. Knight airport. Thanks to Joe Friend for arranging and to all the vendors for attending. Sun ‘n Fun 2018 ended a great event on Sunday. 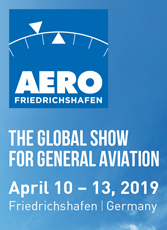 After traveling home Monday, plans called for a very quick turnaround to jet across the Atlantic for Aero Friedrichshafen 2018, which started Wednesday. For an aviation buff, the month of April is something like being a kid in a candy store. So many fun airplanes. So few days to absorb the images, stories, people, and excitement. Sandwiched in the 24 hours between getting home from Sun ‘n Fun and blasting off to Europe, one more cool thing happened: a gathering of LSA or light-kit seaplanes. 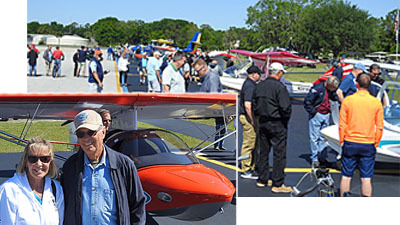 Seven brands were invited by Spruce Creek Fly-In airport manager Joe Friend but rather ironically, two that are quartered closest to Spruce Creek — American Legend‘s AmphibCub and Brazil’s SeaMax — were unable to make it. The five who did make the effort right after Sun ‘n Fun were rewarded with a beautiful day and good interest. Yes, yes, I know — in-flight adjustable props are not permitted on U.S. Light-Sport Aircraft by regulation. They are allowed in many other countries, such as most of Europe, but not in America …well, yet at least. A new investigation with FAA regarding the safety possibilities — and very simple operation — of such equipment has the federal agency at least considering a way it could be introduced to Yankee pilots. That’s great news and we commend the FAA for listening. 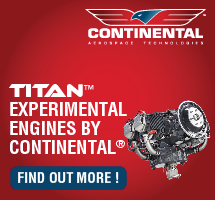 We referred the following video to agency executives so they can see how the idea works: a single throttle-like lever that not only affects engine speed but also prop pitch adjustment, without the pilot having to do anything more than specify what he or she desires by the position of that single lever control. Learn the details in this video. Adam Yang, the CEO of Progressive Aerodyne, resigned from the CEO position on May 18, 2017 and is handing the position to his successor, Geoff Nicholson. 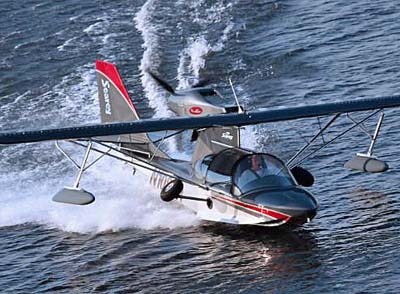 Progressive Aerodyne developed and manufactures Searey, which is a very well-recognized amphibious Light-Sport Aircraft. Adam has been chairman of the board and CEO for the past six years. Adam led the company as it evolved from a kit airplane manufacturer of more than 500 aircraft to a factory-built LSA company. In 2013, under Adam's leadership, the company achieved Special LSA status following an audit that some FAA officials regarded as one of the most successful in the industry. "[Searey] passed FAA’s inspection with no major findings," noted Adam. The company continues to offer kit versions as well as fully-built LSA in a variety of configurations. Searey achieved another distinction with Adam at the helm. The LSA seaplane claims to be the first LSA to obtained Type Design Approval and a Production Certificate from the Chinese aviation authority, CAAC, in 2015. The number of Searey sales obtained the third position on LSA market share ranking in the United States in 2015. By spring 2017, close to 70 Searey LSA have been built and delivered to customers in the U.S., China, and Australia. Thanks to Adam's efforts, Searey has well positioned itself for growth in world markets. Adam expressed, "I am grateful for all the people who supported the endeavor to make Searey a strong manufacturer of the fun, practical and safe aircraft including employees, customers, contracted professionals, distributors, suppliers, local government officials, pilots, instructors, Searey enthusiasts and their family members. Without everybody’s efforts and selfless support, it would have been absolutely impossible to achieve what we have today." Adam no longer has an ownership position of Progressive Aerodyne and will take a break before moving on to his next endeavor. However, he added, "I will keep flying the wonderful Searey." New CEO Nicholson will lead the company to the next level of success. "Geoff has an aerospace engineering degree with years of experience as an executive of operations in the aviation industry," reported Adam. "He holds a commercial rating, multi-engine rating, and was a CFI." So long, Adam. Best of luck in your new adventures! Adam Yang, the CEO of Progressive Aerodyne, resigned from the CEO position on May 18, 2017 and is handing the position to his successor, Geoff Nicholson. 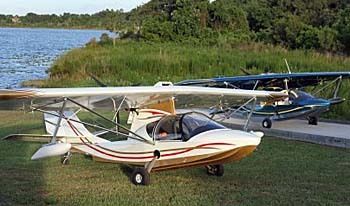 Progressive Aerodyne developed and manufactures Searey, which is a very well-recognized amphibious Light-Sport Aircraft. Adam has been chairman of the board and CEO for the past six years. Adam led the company as it evolved from a kit airplane manufacturer of more than 500 aircraft to a factory-built LSA company. In 2013, under Adam’s leadership, the company achieved Special LSA status following an audit that some FAA officials regarded as one of the most successful in the industry. “[Searey] passed FAA’s inspection with no major findings,” noted Adam. The company continues to offer kit versions as well as fully-built LSA in a variety of configurations. Searey achieved another distinction with Adam at the helm. The LSA seaplane claims to be the first LSA to obtained Type Design Approval and a Production Certificate from the Chinese aviation authority, CAAC, in 2015. We've known the SeaRey for more than 20 years (the design began in 1991) but now it is available as a fully manufactured SLSA. More than 500 are flying but all were built as kits; now those who don't relish that task can buy and fly. We speak with CEO Adam Yang and designer Kerry Richter at the Sebring LSA Expo to hear more of the details. We’ve known the SeaRey for more than 20 years (the design began in 1991) but now it is available as a fully manufactured SLSA. More than 500 are flying but all were built as kits; now those who don’t relish that task can buy and fly. We speak with CEO Adam Yang and designer Kerry Richter at the Sebring LSA Expo to hear more of the details. Updated 8/21/15 — This article has been updated with a reader comment seen at the bottom. 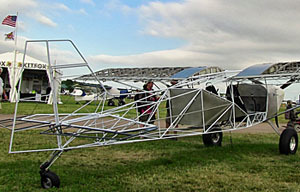 When the SP/LSA regulation was announced 11 years ago nearly all registered Light-Sport Aircraft originated in Europe. Indeed, the first two accepted as SLSA were the Evektor SportStar and Flight Design's CT series. For several early years, Europe accounted for more than two-thirds of all LSA brands in the USA. However, in a decade, a lot has changed. Now, American companies have had time to shift from kit making (a very different business model) or have developed brand-new aircraft or offer a revised version of an existing model to meet the ASTM standards so they could gain FAA acceptance. American companies are also starting to make inroads into other countries that accept ASTM standards. Some countries simply copy FAA regs while others accept the ASTM standards set and then layer on some of their own regulations. It varies country-by-country though a few appear to largely accept U.S. approval as sufficient for operation in their country. I'll cover China in more detail below. Our friends over at SkyRunner compiled a list of countries they found to support Light-Sport Aircraft and ASTM standards. We started with their work and added further information in an attempt to show the full potential of ASTM and LSA, what SkyRunner folks called a "|category [that] is quickly becoming harmonized worldwide." Based on the concept initially introduced to Americans in 2004, ASTM-compliant LSA have subsequently been adopted in a number of countries (see map). SkyRunner elaborated, "Information obtained from FAA indicates that [CAAs] in the following countries have confirmed that they have adopted regulations, used ASTM LSA standards by reference in their airworthiness code, or accepted LSA on the same basis of airworthiness as in the USA: Australia, China, Brazil, Colombia, Canada, Israel, Chile, Mexico, New Zealand, Peru, and South Africa." We might quibble a bit with some of this information, for example, Canada still uses their Advanced Ultralight regulation, but sources do confirm movement in the right direction. Further expansion is expected, indicated the SkyRunner team. Their research shows CAAs in the following countries have indicated that they are considering adopting the LSA category: Argentina, Guatemala, Venezuela, India, Malaysia, Pakistan, Russia, and Thailand. Please note that while we believe this to be accurate information, understanding another country's regulations is not always straightforward and even when fully understood, these things are subject to change. Some countries appear to be moving faster than others. One that has shown significant effort is China. I recently reported that Searey gained CAAC approval for both their design and the manufacturing process. More on that below. 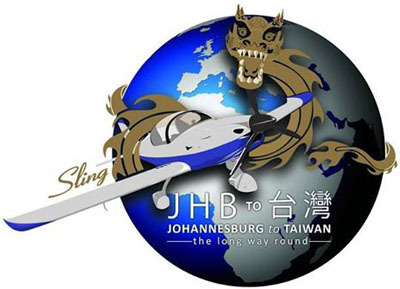 Meanwhile, a Facebook friend, Jane Zhang of Silk Wings Aviation, reported that additional LSA-types have obtained similar levels of approval in China. She noted, "First one was Flight Design CT back in 2009/2010, then [Cessna's Skycatcher]162, two German Autogyro, [Germany's] C42, [Evektor's] EV97 ... that's six. Jabiru's J230-D is #7 and Searey is #8." I asked Jane if all had both TDA (Type Design Approval) and Production Certificates (PC), the latter being a much more involved process. Jane continued to aid my understanding, "I know for sure CT, 162, Autogyro (two models approved) and C42 have gained PC ... awarded to [a producer's] home manufacturing location. A LSA company has to have both TDA and PC granted by CAAC to officially and legally sell in China." When I inquired further about how many LSA type aircraft may be operating in China, Jane replied, "CT has an Asia/China dealer. Autogyro and C42 have one common dealer and he is selling well. EV97 ... I am not sure. A Chinese designed LSA — by Sunward called Aurora SA60L (photo) — is selling relatively well." She said she'd have to check for exact numbers but, "I guess around 50-70 'legal' ones in total. At least 10-20 LSA in China do not have CAAC approval (yet). For those curious about China and the requirements, I followed up with Searey CEO, Adam Yang. First, he noted Progressive Aerodyne had some audit findings, but they were not major points. We are basically in good shape but need to write a report to show compliance." He said another two months are needed to get the final Production Certificate, however, his company is allowed to register the eleven Searey LSA already sold. In an interesting twist not unlike how Europe handles certain aircraft, Adam noted "CAAC is not administrating powered parachutes, trikes, powered paragliders, and such aircraft types. "Instead China's sports administration is handling this," Adam added. All this shows the challenges of answering the seemingly simple question, "Where are LSA accepted around the world." The answer is as complicated as the various government agencies choose to make it and every country handles approval somewhat differently. Nonetheless, American LSA producers wishing to sell outside the USA have it vastly easier than manufacturers of Type Certificated (Part 23) aircraft. Hence, we see a global LSA market that is far easier for smaller companies to tackle ... and that seems a great thing. Update — Reader Torkell Sætervadet wrote, "Norway is a part of the EASA area (on your map it is white, it should be green), and it is not correct that CS-LSA is not fully implemented in the EU. It is — but it requires an expensive type certificate based on the ASTM specifications (with some modifications). The cost of the type certificate is why EU/EASA only has a selection of three LSA models as of today. The rule may be changed in the future, but don't hold your breath." Updated 8/21/15 — This article has been updated with a reader comment seen at the bottom. When the SP/LSA regulation was announced 11 years ago nearly all registered Light-Sport Aircraft originated in Europe. Indeed, the first two accepted as SLSA were the Evektor SportStar and Flight Design’s CT series. For several early years, Europe accounted for more than two-thirds of all LSA brands in the USA. However, in a decade, a lot has changed. Now, American companies have had time to shift from kit making (a very different business model) or have developed brand-new aircraft or offer a revised version of an existing model to meet the ASTM standards so they could gain FAA acceptance. American companies are also starting to make inroads into other countries that accept ASTM standards. Some countries simply copy FAA regs while others accept the ASTM standards set and then layer on some of their own regulations. Certification team, from left (U.S. team in bold): Abid Farooqui; Bill Roche; Guo Yonggang; Shi Yi Fang; Adam Yang; Wang Xuemin; Sun Yanling; Dan Saunders; and Apollo (of Searey China). Not-shown members of CAAC's certification team: Li Honglin; Zhou Zhimin; Ding Xiaoyu. Pictured are the team from Anyang City in central China, lead by Shu Dong Li of Aero Sport Association (3rd from left). Next to him in the green shirt is Anyang's Vice-Mayor, Zhang Manru. Icon recently won FAA acceptance as the California company demonstrated meeting ASTM standards for their A5 seaplane and made a big show out of delivering the first airplane to EAA Young Eagles ... the same move, by the way, as Cessna did with their Skycatcher. We expect Icon's future to work out better as they begin to fulfill more than 1,300 orders. However, another LSA seaplane is demonstrably ahead in the government approval race. "Led by consultants from SilverLight Aviation, Progressive Aerodyne of Tavares, Florida recently received Production Certificate approval from China's CAAC." According to SilverLight spokesman Abid Farooqui, "This makes Searey the first U.S.-made LSA to achieve this distinction and have both Type Design Approval as well as a Production Certificate for its Searey LSA airplane." Searey's earlier Type Design approval and recent Production Certificate were gained under the supervision and guidance of SilverLight, which is based in Zephyrhills. Florida. In addition to doing consulting work, Abid's Z-hills company represents a fixed wing LSA, a trike, and a gyro. Gaining a foreign country's approval for a production certificate is no small accomplishment and hearty congratulations are in order. "Type Design Approval [from Chinese CAAC authorities] was much more thorough than FAA," said Abid. He refers to FAA when the agency examined Progressive Aerodyne's compliance with ASTM standards and FAA best practices in an unusually clean and swift acceptance. "It took one year and multiple meetings to earn the Production Certificate," noted Abid. He said that this effort involved "two one-week-long, grilling technical meetings conducted in China and another visit from CAAC's team to the Florida factory where they had us perform selected structural tests and in-flight spin tests, while they observed." The Production Certificate was earned partially by submission of documents and their approval followed by a one week visit of four inspectors. "It was similar to FAA's audit," said Abid. "They selected processes and spot checked their implementation and general safety conditions in the factory." Why go to all this effort for a market that is just emerging, insofar as civilian or recreation flying goes? Progressive Aerodyne has been at work on this market penetration for many months. As reported earlier, the company opened an office in the country and hired a sales representative. "Searey already has 12 orders from China and 28 more in pipeline," reported Abid on behalf of Progressive Aerodyne. All of them will be factory assembled here in Florida, flight tested, and then shipped. In China, after some reassembly, they will conduct a final test flight before it is legal to sell to an end user. However, Abid stated, "Searey will now definitely be a legal aircraft to fly in China." To my knowledge, this is the first American company to go through the entire process to allow sales in China. Consultants from SilverLight Aviation completely led and worked on and defended the Type Design Approval process and guided the Production Certificate process which was originally set up under contract by SilverLight. As I wrote a couple months ago following my first-ever visit to China, this country has some distance to go before an aviation culture will develop. However, the nation has moved swiftly to modernize, achieving in the last three decades such stunning progress that human history has no parallel. On my visit I heard of plans and a deep determination to take earlier successes with automobile factories and tech-product plants and repeat this fast pace with airports. They will need to as the area I visited had only a single airport ... today. I would expect fast progress toward airport building and a continued opening of airspace to civilian use and when that begins to happen, airframe producers may enjoy surprising growth. As such, Progressive Aerodyne appears especially well positioned to profit from this newest focus of Chinese authorities. As further proof of their attention to airport infrastructure building, a team from Anyang City where I visited attended AirVenture 2015. With cities leading the charge in much of such development, it was great to again greet these Chinese contacts in Wisconsin (photo), lead by Shu Dong Li of the Aero Sports Association. I will continue following progress in China. Icon recently won FAA acceptance as the California company demonstrated meeting ASTM standards for their A5 seaplane and made a big show out of delivering the first airplane to EAA Young Eagles … the same move, by the way, as Cessna did with their Skycatcher. We expect Icon’s future to work out better as they begin to fulfill more than 1,300 orders. However, another LSA seaplane is demonstrably ahead in the government approval race. “Led by consultants from SilverLight Aviation, Progressive Aerodyne of Tavares, Florida recently received Production Certificate approval from China’s CAAC.” According to SilverLight spokesman Abid Farooqui, “This makes Searey the first U.S.-made LSA to achieve this distinction and have both Type Design Approval as well as a Production Certificate for its Searey LSA airplane.” Searey’s earlier Type Design approval and recent Production Certificate were gained under the supervision and guidance of SilverLight, which is based in Zephyrhills. While some beautiful looking LSA seaplanes have captured lots of attention — here I am thinking of Icon's vigorously promoted A5, the unusually capable MVP, the highly innovative Wave, and Finland's ATOL ... all of which have some fascinating features — all but one of these share one feature: you can't get one yet. ATOL is preparing to deliver but A5, MVP, and Wave are all still works in progress. It takes time to develop a new aircraft but today if you want a ready-to-fly seaplane in the USA, you have basically three choices: SeaMax, Super Petrel LS, and Searey. Of those, Super Petrel has airplanes in stock in the USA and ready for delivery. Searey stands along in my view as an LSA seaplane you can buy today and receive in a reasonable timeframe. It is also the only American-made LSA seaplane you can get today. It is available as a kit (more than 600 sold and more than 500 flying) and that gives the company a strong, reliable track record for those considering purchase. It is also, along with Super Petrel, very reasonably priced. What's reasonable? Well, a new price in the mid-$150,000 range is considered a good value by many seaplane owners. If that sounds like a lot to some readers, you should check the cost of other fixed wing, three-axis seaplanes ... some are breathtakingly more expensive. Weight shift floatplane choices and some simpler float-equipped aircraft also have good price points. However, if you are still thinking you'd prefer one of these boat-hulled flying machines that offer choices of land or water operation, $150,000 may seem an insurmountable barrier. Progressive Aerodyne has sought out a solution and recently secured a financing program for their Searey models. "We are excited to announce the availability of financing for Searey Elite and Searey Searey Sport SLSA aircraft," announced Progressive Aerodyne. The central Florida manufacturer has partnered with NAFCO, an affiliate of Pilot Bank, to provide loans amounting to 85% of the value of a Searey for a period of up to 20 years for qualified applicants. Progressive Aerodyne reports that NAFCO has been approving and servicing general aviation loans for over 20 years. "We are excited about the partnership," said Progressive Aerodyne. "Make your dream of owning a Searey a reality today." Progressive Aerodyne did not break out specific numbers of such a loan. That information could vary considerably depending on numerous factors. However, just for the sake of illustration, here's a back-of-the-napkin estimate: Assuming a price of $150,000 (contact the factory an exact quote), an 85% loan means borrowing $127,500. Let's also assume a full 20-year loan period and assume a 7% interest rate. That means a buyer would put down $22,500 at the start and have payments of $989 per month. As with buying a house, you'll pay a good deal in interest over the loan period but, due to inflation, the value of money will be less in 20 years. So the payments, in theory, should be easier to make toward the end of the loan. A well-maintained Searey should easily last 20 years and for most owners, even the Rotax engine will likely still have time left before overhaul in such a loan period. However you feel about borrowing to own your airplane, Progressive Aerodyne and NAFCO are offering a way to have a brand-new ready to fly LSA seaplane in the near future for $22,500 and a thousand dollars a month. That certainly puts such an aircraft within reach of many more buyers. 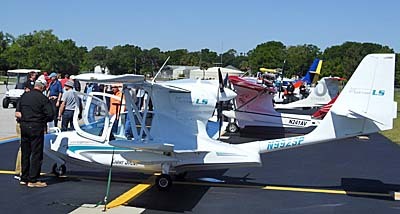 While some beautiful looking LSA seaplanes have captured lots of attention — here I am thinking of Icon’s vigorously promoted A5, the unusually capable MVP, the highly innovative Wave, and Finland’s ATOL … all of which have some fascinating features — all but one of these share one feature: you can’t get one yet. ATOL is preparing to deliver but A5, MVP, and Wave are all still works in progress. It takes time to develop a new aircraft but today if you want a ready-to-fly seaplane in the USA, you have basically three choices: SeaMax, Super Petrel LS, and Searey. Of those, Super Petrel has airplanes in stock in the USA and ready for delivery. Searey stands along in my view as an LSA seaplane you can buy today and receive in a reasonable timeframe. It's summertime and the flying is easy ... especially when it's on the water. That's fine for everybody who is already qualified. What if you're new to seaplanes (or LSA in general)? How could you obtain instruction if you want to buy a new Searey? Training is optimal when done in a very similar airplane if not the same exact model you have in mind. Insurance companies may require aircraft-specific preparation. "With the addition of a [factory-built] Searey to its fleet, Chesapeake Sport Pilot flight school has become the first flight school in the world to offer flight training on the popular amphibious light sport seaplane," said spokesperson Helen Woods of the Stevensville, Maryland company. Chesapeake also teaches in other LSA models. Chief Flight Instructor Woods reports 300 Seareys flying in the U.S. and over 500 flying world wide. "Until now, it was often difficult to obtain quality training to fly a Searey," said Helen, "since a pilot had to own his own Searey before receiving training." Chesapeake supplies a Searey as part of their training course. Chesapeake's Searey is well equipped for training: Rotax 912 engine; Advanced Flight Systems EFIS; Garmin GPS with XM weather and TFRs; and a carbon fiber hull. "It has all of the equipment we need plus a good useful load," explained Woods. 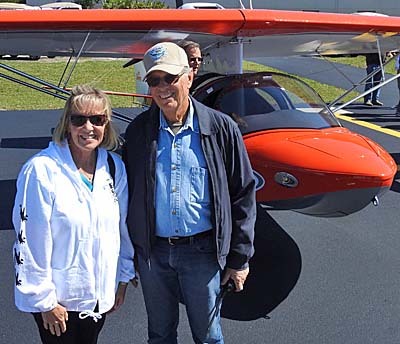 Helen and fellow Chesapeake instructor Dan Wroe are both accredited as Searey flight instructors through the Searey Flight Instructors Association. This assures quality and standardization of training as well as offering better insurance rates from certain insurance companies for students who train under accredited Searey instructors. Chesapeake offers a variety of training options for Searey students including seaplane ratings, tailwheel endorsements, flight reviews, and insurance checkouts. Find out more at 410-604-1717, via email or Chesapeake's website. Progressive Aerodyne, the Tavares, Florida-based designer and manufacturer of the Searey has been busy lately. While the marketing efforts have been establishing a base camp in China), engineers lead by founding designer, Kerry Richter have upgraded the well-established aircraft. The company announced a new Frise aileron design that can be fitted to all new factory-built and Searey kit airplanes. According to Progressive Aerodyne engineers, the freer airflow aileron "provides Searey airplanes with more balanced and responsive control, especially in severe conditions and wind gusts." The company reported that it conducted extensive static load and flight testing on the new aileron and the results exceeded design standards and expectations. Implementing such improvements is far less costly and time consuming for LSA under ASTM standards airplanes compared to Type Certified aircraft under FAR Part 23. Progressive Aerodyne said, "The new aileron can be retrofitted for experimental LSX and SLSA models and owners interested in retrofitting them may contact the manufacturer. • Engineers also created a new sliding canopy design that can be open in any position during flight and now offers an additional three inches in height. The prototype canopy will make its debut at AirVenture 2015 where you can take a seat and see for yourself. • Finally, Progressive Aerodyne will be previewing their 2015 look with a stylish new paint scheme. Seaplane and aviation enthusiasts are invited to space #12 at the Oshkosh Seaplane Base (free bus transportation is available from AirVenture). 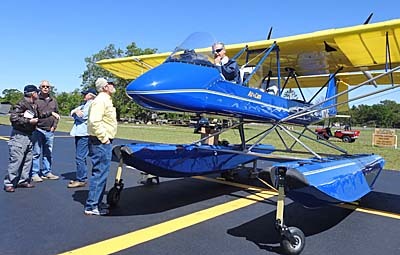 A Searey will also be on display at the EAA 10th Year Celebration of SP/LSA. It’s summertime and the flying is easy … especially when it’s on the water. That’s fine for everybody who is already qualified. What if you’re new to seaplanes (or LSA in general)? How could you obtain instruction if you want to buy a new Searey? Training is optimal when done in a very similar airplane if not the same exact model you have in mind. Insurance companies may require aircraft-specific preparation. 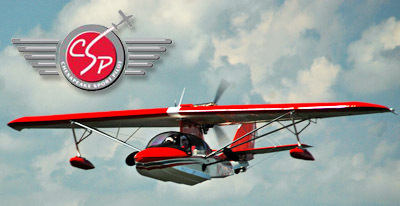 “With the addition of a [factory-built] Searey to its fleet, Chesapeake Sport Pilot flight school has become the first flight school in the world to offer flight training on the popular amphibious light sport seaplane,” said spokesperson Helen Woods of the Stevensville, Maryland company. Chesapeake also teaches in other LSA models. Chief Flight Instructor Woods reports 300 Seareys flying in the U.S. and over 500 flying world wide. “Until now, it was often difficult to obtain quality training to fly a Searey,” said Helen, “since a pilot had to own his own Searey before receiving training.” Chesapeake supplies a Searey as part of their training course. Searey China sales is located in this office tower in Shanghai. The list of aviation companies involved in one way or another with China is getting so long I won't try to show them all here. 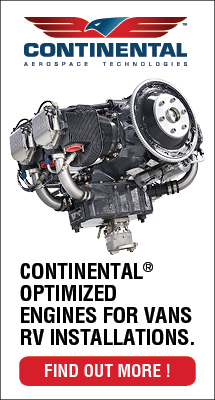 Big companies like Cirrus Design or Continental are included. So are LSA manufacturers of various brands. Some business are setting up dealerships (Quicksilver, others). Others have arranged Chinese partners to build planes in-country (Flight Design, Zenith, others). Several companies have been fully acquired by or have received substantial funding from Chinese enterprises (Icon, others) and I'm aware of more that we will hear more about in the weeks and months to follow. The U.S. government and many other nations have borrowed from the Chinese government so a nearly unfathomable amount of dollars or other currencies are parked in China. However, most of the aviation financial arrangements are private, showing that, like their government, Chinese business people have plenty of funds to invest. The big question is, will a true personal aviation market develop? ... outside of business jets and airliners, that is. We'll have to wait to see but companies are certainly for big things. Not all China ventures worked out well, for example, Cessna's Skycatcher. 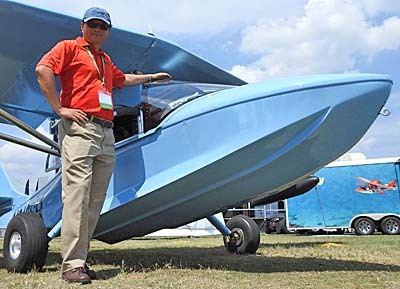 Others are vigorously pursuing the Asian market ... With Progressive Aerodyne now owned by an American named Adam Yang, you might think it logical to expect this successful Florida kit builder turned LSA manufacturer to have an Asian presence. In addition, since Searey is already SLSA approved and can boast a long history of loyal builders, this brand and model has a leg up on companies that are still in development (Lisa Akoya, others). So, here's the official announcement: "Progressive Aerodyne is pleased to announce the opening of its newly established sales office in Shanghai, China, to support the sale of Searey Light Sport Amphibious Airplanes." The Searey was first presented to the China market at air shows in 2009, where interest in Searey airplanes was overwhelming. Since then, Progressive Aerodyne participated in subsequent air shows and invested in research and marketing in order to advance the Searey in China." The company reported that it is working with Chinese aviation authorities to gain approval for Searey sales in China and the Shanghai office* will work with government authorities in China while managing marketing and sales efforts. "We are excited about the expected growth potential of Searey light sport airplanes in China. Our new sales office will allow us to penetrate the China market more effectively and access a very large and entirely new group of future Searey enthusiasts," said Adam Yang, CEO of Progressive Aerodyne. For more than 20 years, Searey LSA and kits have been produced in Tavares, Florida, about 45 minutes northwest of Orlando. Progressive Aerodyne's manufacturing facility is currently in full production of two certified models, Searey Light Sport and Searey Light Sport Elite. In addition, the company continues to manufacture Searey kits. You can find out much more and watch videos with company officials here. * Progressive Aerodyne's Shanghai office is located at: Room 2809, Maxdo Centre, Building No.8, Xing-Yi Road, Chang-Ning District, Shanghai, 200336 China, Tel: 021-6236-2360. The list of aviation companies involved in one way or another with China is getting so long I won’t try to show them all here. 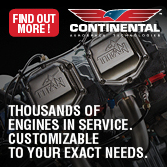 Big companies like Cirrus Design or Continental are included. So are LSA manufacturers of various brands. Some business are setting up dealerships (Quicksilver, others). Others have arranged Chinese partners to build planes in-country (Flight Design, Zenith, others). Several companies have been fully acquired by or have received substantial funding from Chinese enterprises (Icon, others) and I’m aware of more that we will hear more about in the weeks and months to follow. The U.S. government and many other nations have borrowed from the Chinese government so a nearly unfathomable amount of dollars or other currencies are parked in China. However, most of the aviation financial arrangements are private, showing that, like their government, Chinese business people have plenty of funds to invest. In the tradition of John Steinbeck's Travels with Charley, Richard Bach's Travels with Puff recounts his journey from Florida to Washington state in his Searey. A pair of Searey aircraft at the company's factory on a lake. 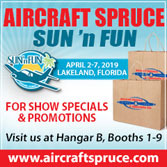 Less than two weeks from now, the season of recreational flying is officially set in motion with the opening of Sun 'n Fun ... the 40th year of the nation's first major airshow. It will also be year #2 for the new and much-improved Paradise City, formerly known as the Ultralight or Lightplane Area. 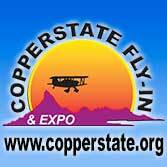 Alongside the curvy new paved road that loops through Paradise City will sit the LSA Mall at Show Center powered by Aviators Hot Line and this is a place many will visit throughout the week to peruse LSA, light kit airplanes, and electric aircraft. Getting to the Paradise City will be much easier and faster thanks to a pair of six-seat golf carts that will rove the grounds of Sun 'n Fun and pick up visitors who want to check out Paradise and all the action at this airshow-within-an-airshow. Demo flights for LSA shoppers will be readily available and can be conducted all day long even during the main airshow aerobatics (except for a 1-2 hour period when military teams demand "sterile airspace"). 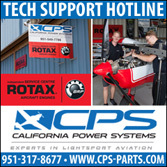 The golf carts are provided for the second year by Rotax Aircraft Engines — thanks Rotax! The 2014 LSA Mall will feature a special treat, specifically famous author Richard Bach's Light-Sport seaplane, a Searey he has named "Puff." 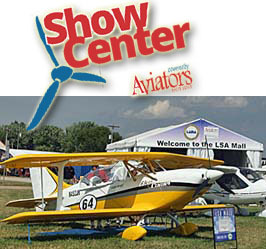 Richard cannot be present himself but Show Center will present his aircraft in the LSA Mall. Last year, he wrote a book about his flight from Progressive Aerodyne's factory in Florida to Washington state in his new airplane (Travels with Puff) and in 2014 he released a new book about his later crash of this airplane. Thankfully he and Puff have fully recovered and both have returned to flight, so this is an inspirational story from an inspirational author of 60,000,000 books. Bach's allegory about a seagull who did not want to accept the limits imposed on him by nature and society became the number one best-selling novel of 1972. Jonathan Livingston Seagull became the biggest surprise of the publishing industry. No one expected a book less than 100 pages long — a mere 10,000 words — to rise to the most coveted spot on best-selling nonfiction and fiction lists. Yet JLS broke hardcover sales records, selling more than 1,000,000 copies in 1972 alone. The media finally picked up on the allure of this deceptively simple story, and publisher Macmillan finally put money behind it. Jonathan Livingston Seagull went on to sell more than nine million copies in the first five years, and in 20 years, by 1992, the number totaled more than 30 million. In 2014, the sales figure passed 40 million copies. In the '70s, society was primed and ready for Jonathan's particular style of rebellion and perfection ... a bird who defied the rules. Some may see an analogy to Light-Sport Aircraft that have disrupted the enterprise of legacy aircraft builders. Richard served in the Navy Reserve and the Air National Guard as a F-84F pilot. He worked at Douglas Aircraft, was a contributing editor for Flying magazine, and later became a barnstormer. As part of his exploration of flight, Richard also sampled paragliding. Nearly all of his books involve flight, bringing his son James to state in an interview, "Dad regards flying as his religion." Beside Puff the Searey, the LSA Mall will feature a collection of Light-Sport Aircraft and light kit-built aircraft, all within the growing space of Paradise City, which has become the desired location for more exhibitors. Paradise City took a giant leap forward last year after some earlier years in the doldrums and it promises day-long action for those who stroll a short distance from what Sun 'n Fun calls the "core area." Some readers of ByDanJohnson.com will head directly to Paradise City. Others will wander through the show's hundreds of displays but all are welcome to catch a free ride on the Paradise City Xpress ... those twin six-seater golf carts driven by Paradise City volunteers. Hop a free ride and be sure to thank your volunteer driver. On your way into Sun 'n Fun 2014, you can find the big Rotax Aircraft Engine exhibit right on Doolittle Road just inside the main gate. Check out their newest 912iS engine (shhh ... it's still a secret) and offer your thanks for again providing the golf carts in their cooperation with LAMA, the Light Aircraft Manufacturers Association. Less than two weeks from now, the season of recreational flying is officially set in motion with the opening of Sun ‘n Fun … the 40th year of the nation’s first major airshow. It will also be year #2 for the new and much-improved Paradise City, formerly known as the Ultralight or Lightplane Area. Alongside the curvy new paved road that loops through Paradise City will sit the LSA Mall at Show Center powered by Aviators Hot Line and this is a place many will visit throughout the week to peruse LSA, light kit airplanes, and electric aircraft. Getting to the Paradise City will be much easier and faster thanks to a pair of six-seat golf carts that will rove the grounds of Sun ‘n Fun and pick up visitors who want to check out Paradise and all the action at this airshow-within-an-airshow. Demo flights for LSA shoppers will be readily available and can be conducted all day long even during the main airshow aerobatics (except for a 1-2 hour period when military teams demand “sterile airspace”). Adam Yang (right) hosting the Progressive Aerodyne open house. Consultant Abid Farooqui shows where SeaRey engineers used plenty of carbon fiber to reduce weight 60 pounds! The fully faired Rotax 914 engine on the new SeaRey SLSA. One of the several reasons I like living in Florida (besides no snow this time of year) is the close proximity of all kinds of aviation businesses. 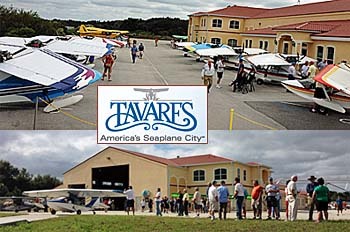 The central Florida town of Tavares, about 45 minutes northwest of Orlando, is home to not one but two light seaplane factories. The city named itself "America's Seaplane City." Last Friday, we visited both manufacturers ending our tour at the SeaRey Open House (photo). Owner Adam Yang said they had 13 SeaRey aircraft fly in despite windy conditions. Their handsome facility was full of people including many owner/builders, potential customers, friends, and the media (me). The day turned out to be pleasant and we got to watch several SeaRey aircraft taxi down the launch ramp into the lake and take off not 50 yards away. One of these was the new 914 SeaRey SLSA; more on that below. A couple years ago Progressive Aerodyne took the plunge and elected to pursue Special Light-Sport Aircraft acceptance so they could address a part of the market they never could seek: fully built SeaRey aircraft. Last fall, the company a major benchmark as they successfully passed their first-ever FAA audit. Most companies get a few gigs (officially: "findings") and have to fix them ("corrections"). Mostly this seems to be paperwork but sometime the manufacturing process isn't up to regulatory review so more work is needed. The SeaRey producer got a clean bill of health before FAA inspectors left the building; subsequently, high-ranking FAA officials were effusive in their praise for Progressive Aerodyne's accomplishment. Such things are a team effort by definition, but leading compliance task force was Florida engineer, Abid Farooqui. At the open house, Abid was generous to explain some of what went into the latest 914 turbo SeaRey SLSA project. What really stood out for me was this: "We took 60 pounds out of the airframe to make SLSA seaplane weight," reported Abid. I'm not an engineer but I've been around plenty of development projects and can state that taking 60 pounds from an airframe that weighs less than 1,000 is a huge accomplishment. Companies meeting ASTM standards have to build an airplane that meets empty weight calculations. For SeaRey, this figure is 980 pounds empty and the 115-horsepower, fully engine cowled Rotax 914 turbocharged SeaRey makes the numbers. The weight savings came through many big and small tweaks but a significant share came from use of carbon fiber in the hull and other parts of the airplane. Abid continued as a consulting engineer after the 2012 ASTM compliance and FAA acceptance push. 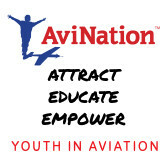 He offers engineering services under the business name SilverLight Aviation. Abid has also volunteered assistance LAMA, the Light Aircraft Manufacturers Association in the updating of the organization ASTM compliance checklists available to member producers. The LSA seaplane sub-sector continues to amaze me. I've written about this often as so many intriguing designs are on the market or coming to market. Businesses like Progressive Aerodyne would seem well positioned with seasoned, field-tested products. Newcomers bring slick designs and fresh features but have to convince the market. All will compete somewhat on price and the SeaRey is in good shape again. You can get a kit SeaRey in the air for around $70-80,000 and plenty of prior builders are available to offer assistance. Alternatively you can go to Tavares, Florida and work in the factory with experts available to answer questions. Those with thicker wallets and less time can get the top-of-the-line 914 SeaRey SLSA for $150,000. Given that other LSA seaplanes are quoting $189,000, a 914 SeaRey for a hundred and fifty grand is quite a value in a powerful, proven aircraft. In the video below, original designer and SeaRey pilot extraordinaire Kerry Richter, shows the short water run of the new model with added horsepower. One of the several reasons I like living in Florida (besides no snow this time of year) is the close proximity of all kinds of aviation businesses. The central Florida town of Tavares, about 45 minutes northwest of Orlando, is home to not one but two light seaplane factories. The city named itself “America’s Seaplane City.” Last Friday, we visited both manufacturers ending our tour at the SeaRey Open House (photo). Owner Adam Yang said they had 13 SeaRey aircraft fly in despite windy conditions. Their handsome facility was full of people including many owner/builders, potential customers, friends, and the media (me). The day turned out to be pleasant and we got to watch several SeaRey aircraft taxi down the launch ramp into the lake and take off not 50 yards away. One of these was the new 914 SeaRey SLSA; more on that below. A couple years ago Progressive Aerodyne took the plunge and elected to pursue Special Light-Sport Aircraft acceptance so they could address a part of the market they never could seek: fully built SeaRey aircraft. 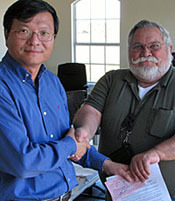 Adam Yang receives an airworthiness certificate from Orlando MIDO's Al Kimble. Many thick three-ring binders holding hundreds of documents are reviewed with FAA audit personnel. CEO Adam Yang (dark glasses) and President Kerry Ricther take 982 Sierra Romeo for its maiden SLSA flight. Consider this an entry to the “They-said-it-couldn’t-be-done” department. As regular readers know, FAA has been conducting audits with LSA producers… tough, top-to-bottom reviews of every detail in the voluminous ASTM standard set. Last April another company had no less than six FAA personnel in their building for three full days, each armed with a laptop and literally hundreds of questions. Passing one of these grueling tests is a fairly major accomplishment. 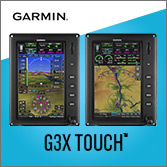 Then consider FAA amped up the task by saying any new model or first LSA from a new company would probably get one of these thorough inspections before they could enter the market. Progressive Aerodyne hosted such an FAA team to examine their first SLSA candidate and — surprise! — they came out with a certificate. No followup is needed. So the heartiest of congratulations go to Progressive Aerodyne and their SeaRey. Yesterday they were issued their airworthiness certificate after a visit from five FAA personnel from both Washington, DC and the local Orlando, Florida MIDO (Manufacturing Inspection District Office).